Last Friday night, my husband and I had a date night! 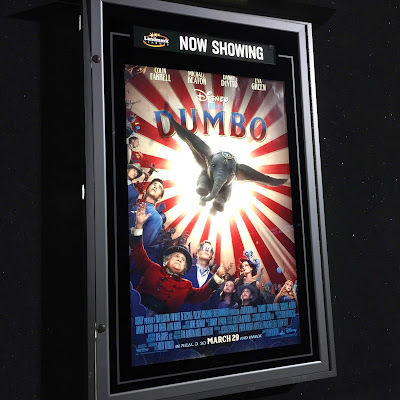 We went out of dinner and caught the premier of Dumbo in theatres! It's hard to convince him to see all the Disney remakes (especially the princess ones), but he was down to see Dumbo. I had been looking forward to this one because Tim Burton was directing and I thought it was the perfect fit for his brand of dark whimsy. I loved it! It sure tugs at the heartstrings, just like the cartoon, but it's even more poignant. The Dumbo character is so precious you can't help but love the little guy. I'd say the story was further developed in this version, but gives glimpses of the cartoon. You have to be on the lookout because most are subtle, but I sure caught them! The animals don't talk in this version, which is fine, but meant more characters were added to elaborate on the storyline. Dumbo actually trumpets and squeaks a lot, it's adorable! I liked this remake because it was simply inspired by the cartoon and became its own movie. Both are great and I highly suggest Disney fans (big and small) rush to see this newest release! 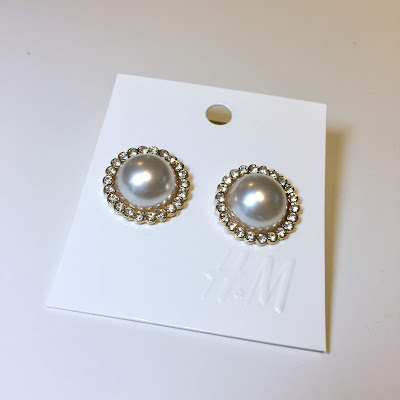 I'd been eyeing these earrings for a while now at H&M and finally picked them up when I was in the store the other day. They are really affordable and look really expensive. They have that certain Chanel/vintage vibe and I'm really loving that right now. They also remind me a bit of a pair the Duchess of Cambridge wears. This style basically has the royal seal of approval, so that's enough for me! Had a game night over at our friends' the other night. We used to have these more regularly, but life happens. Trying to get back into the regular habit of getting together just for fun! 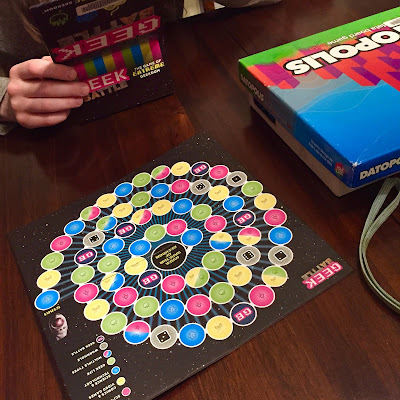 I borrowed a bunch of board games from the library (yes, you can do that!) so that we had options. This is a great way to try out games to see if you like them before you decide to buy them. It's also a great way to have access to a variety of games without breaking the bank. Libraries are awesome, use them! Little neck scarves are my thing. I wear them often and in some many different ways that I'm not sure how I ever lived without them! I got my first one (a black and white polka dot) back in September of 2016 and I haven't looked back since! They are small, cute, versatile and super affordable. 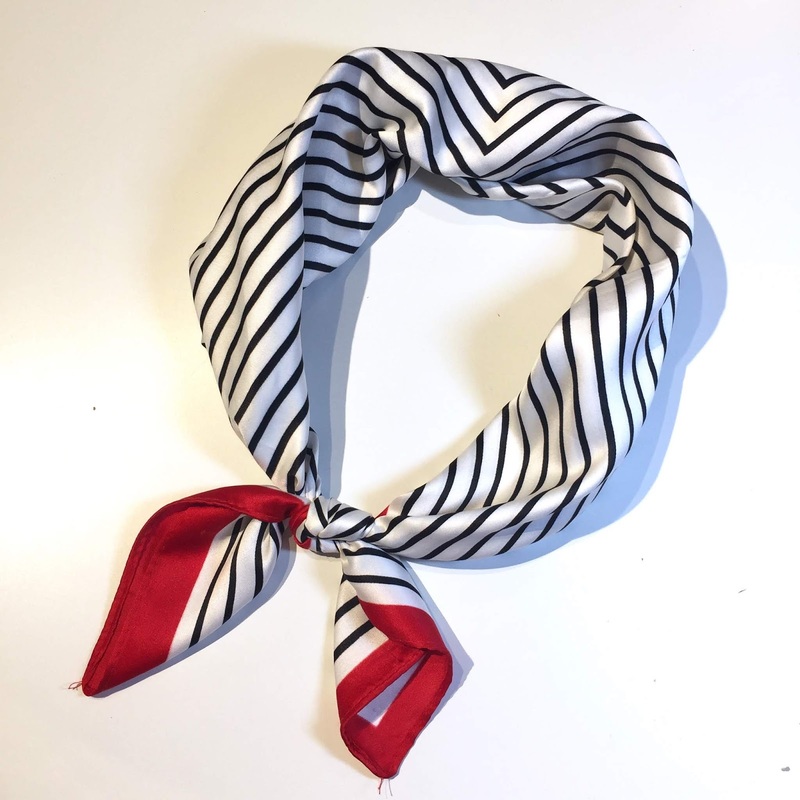 It's a great way of adding flair to your look, whether it be a little French or a little nautical. This Forever 21 striped one was actually purchased before our minimoon, but I didn't get around to wearing it until now. Be on the lookout for this little piece in an upcoming look! This is the perfect pastel shade for spring! I got it in my March Ipsy bag and just love its powdery tone. It's a very soft shade that looks best with a few coats. I'm l0ving the candy colour and it would be the most amazing polish shade for all of your Easter looks. The great thing about pastels is that they all look good with one another and you can totally pile them on without looking over the top. 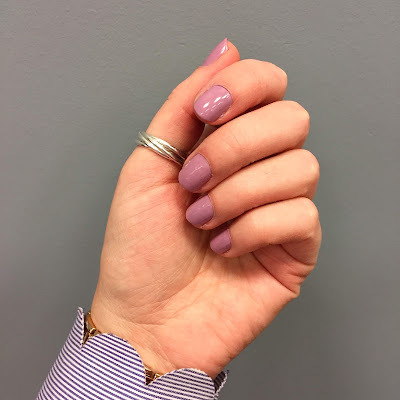 So, even if you are wearing pale pink, light yellow or powder blue for Easter, the lilac polish would be the perfect finishing touch to your look!